Why Is There a Swiss Ski Lodge on a Lake in Chile and How Did It Get There? 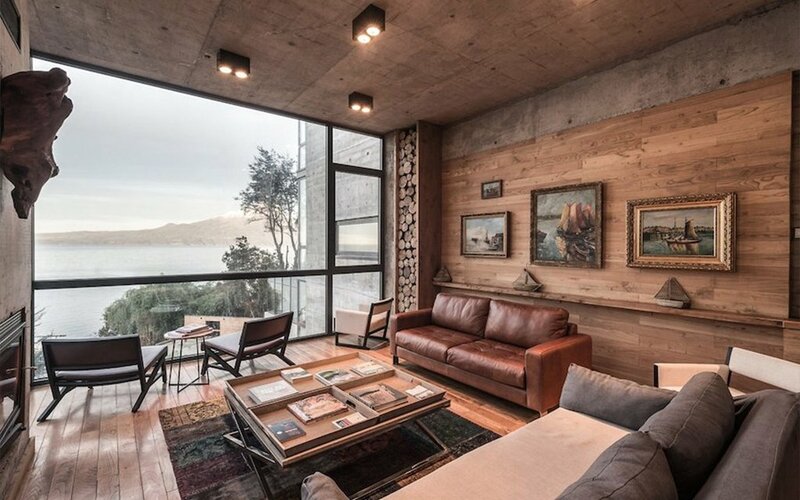 Generally — or maybe for the Euro-centric among us, when you think lakeside lounge with a view of snowy mountains in the distance, you think Lucerne or Annecy. 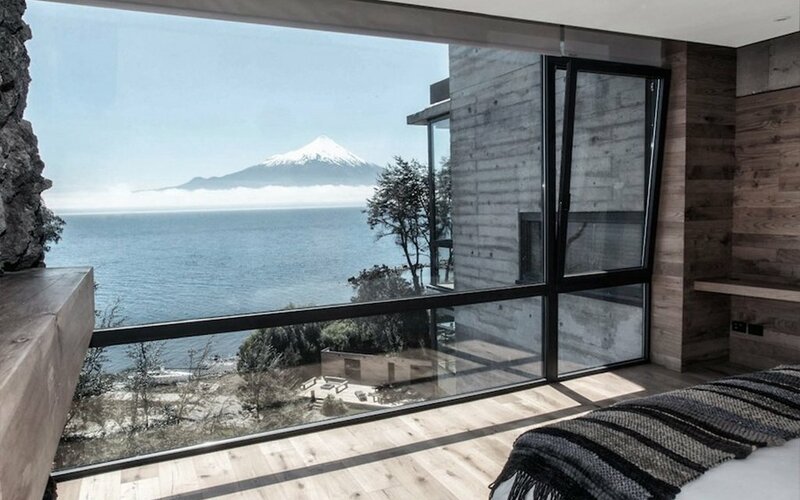 You might not think Chile. 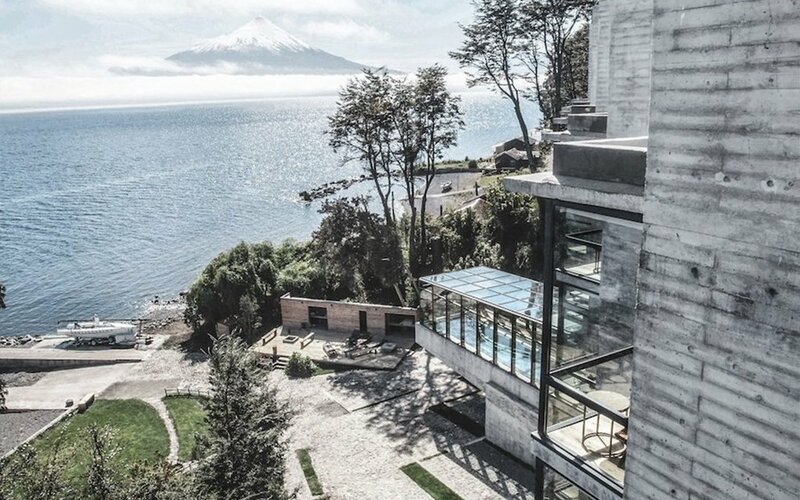 You would, in this case, be missing out — specifically on the sleek ‘n’ chic Hotel Awa on the shoreline of Lake Llanquihue, in the country’s Lake District. This hotel is reason enough to book a flight. The interiors are the perfect balance of rustic and design-minded, with leather sofas beneath vintage paintings of boats. 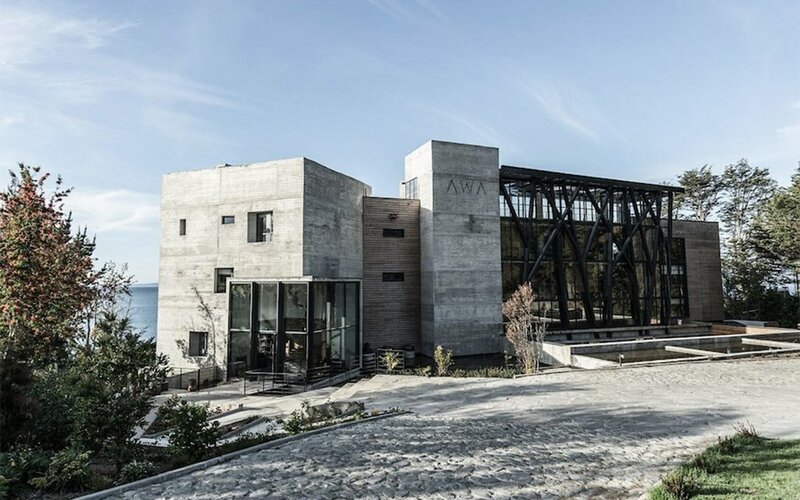 The building, done up in concrete and glass, might have felt cold — but other natural materials, like volcanic stone and local laja stone, give it a lived-in feel. The hotel belongs here. There’s also a spa, so you can take a few turns in the lap pool after taking in the surroundings through the floor-to-ceiling windows. At $300 a night, it’s not cheap — but we’d estimate maybe half what you’d pay for similar lodgings in alpine Switzerland.